Pro-Care Home Health Services - Trusted Home Health Care Providers for the Sacramento Area. Where another home health agency is more convenient to a distant patient, and it is determined that the agency can safely and effectively manage the patient, a transfer or referral to that agency can be coordinated with consultation from the physician. PRO-CARE IS COMMITTED to providing the best possible care available in the home health care industry today. OUR GOAL IS to help our clients recuperate in the comfort and safety of their own home with the assistance of our caring staff. WE PRIDE OURSELVES ON working closely with physicians and family members, as well as community agencies, to ensure that everyone involved is kept informed of the clients progress and special needs. 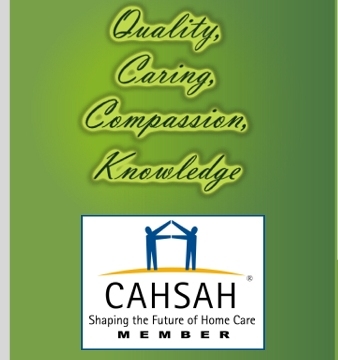 PRO-CARE ENCOURAGES, and vigorously promotes client and caregiver participation in the care planning process. OUR PROFESSIONAL STAFF IS well informed of current technologies and treatment innovations in the acute care and home care settings. Newly emerging high-technology follow-up services such as pulmonary function evaluation, 24-hour blood pressure testing, electrocardiographic monitoring, cardiac rehabilitation and much more. At Pro-Care our standards for quality of care are set very high. We are set on maintaining our good reputation in the region. Pro-Cares' skilled services and great staff are highly regarded by our referral sources, physicians and clients for our consistently high level of care. CALL US FOR MORE INFORMATION TODAY!! This website was designed by: Lanitech WEB Design, Roseville/Rocklin, Sacramento.